La base v1 es la tabla para entry level a riders de nivel intermedio que buscan diversión o una twintip que inspire confianza. ¡La Base V1 es intuitiva y cómoda de navegar, acelerará tu progresión desde las primeras etapas de aprendizaje hasta tus primeros saltos! La combinación optimizada de una forma freeride progresiva y el cóncavo de la cara inferior que se va aplanando hacia los tips, proporcionan control y estabilidad en todas las condiciones. El rocker medio-bajo te ayudará a planear antes y te proporciona navegar upwind con facilidad. La Base V1 es ultra suave de navegar gracias al diseño del flex medio-blando que la mantiene cómoda incluso en condiciones de chopy. Con la Base V1 tendrás más tiempo para concentrarte en mejorar tus habilidades, ¡dominarás rápidamente tus primeros giros, ceñidas y saltos! Realizamos construcción de primera clase en nuestra propia fábrica, utilizando materiales de la más alta calidad y controles de calidad controlados a mano en cada paso. 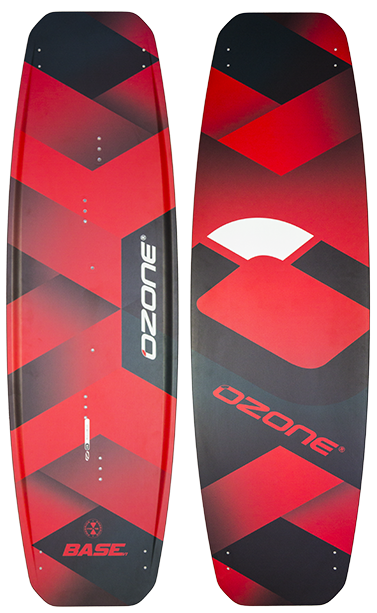 La fábrica de Ozone también fabrica nuestra gama de Parapentes y Speed Wing range; los mismos procesos de control de calidad se utilizan en todos los productos. El núcleo premium de Paulownia de grado A ofrece lo último en características de Flex, increíble dureza y peso reducido. Precisión en la laminación utilizando capas de fibra de vidrio Biaxial y UD de alta calidad para proporcionar el máximo equilibrio de flexibilidad, respuesta y resistencia. Inserts de acero inoxidable 316 de la más alta calidad incrustadas en bloques de ABS. Esta construcción de inserts ofrece una resistencia superior para una navegación potente y el uso de botas. An optimized mix of a progressive freeride outline and a single concave bottom shape transitioning to flat towards the tips provides control and stability in all conditions. The moderate to low rocker line facilitates early planing and makes upwind riding easy. The Base V1 offers an ultra smooth ride thanks to the forgiving medium-soft flex pattern keeping you comfortable even in choppy conditions. Having comfortable footpads and straps can be the difference between a good session and a bad one. Our V2 design provides the ultimate balance between performance and comfort to keep the good sessions rolling! Our foot straps are ergonomically designed featuring Ultralon Performance Foam® and plush neoprene for the ultimate in comfort and control while providing a precise fit. Ultralon foam has an exceptional resistance to packing out, it doesn’t compress over time and has an outstanding formability enabling anatomical adaptation. Combined with the quick and easy velcro size adjustment, the strap provides a snug fit to all foot shapes and sizes or wetsuit booties. We have designed our footpads to provide superior comfort, adaptability and strength. The multi-density foam pads combine a shock absorption base layer and a higher density top layer with precise contouring and texture for increased traction to keep your feet comfortably locked in. The baseplate is built strong with nine strap positions and five stance angle options allowing for uncompromised adaptability. Two fin designs offer the choice for solid edge hold or increased freedom. Choose the 45mm size for maximum grip while edging and taking off to boost. The 35mm size is perfect for freestyle riders using boots and for those looking for increased freedom while carving. Our V2 fins are precisely injection molded using advanced glass-filled nylon materials for high strength and wear resistance. 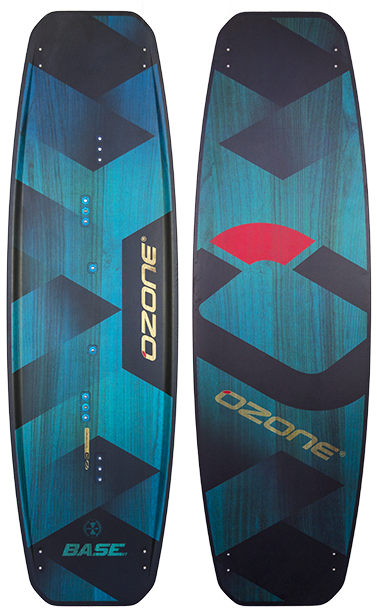 Strong and durable with a textured underside grip for maximum control during water starts to board offs.